When driving through downtown Dallas, Texas it’s easy to see how this town could grow to become one of the largest cosmopolitan cities in the entire country. There is a particular presence of wealth here that is evident in the massive skyline, a tenacious energy that flows across the highways, and one can only gaze in awe at the marvel of what is possible when laying eyes on her for the first time. If a little boy from Texarkana, Texas could grow up to become one of the most successful businessmen of all time (Ross Perot), then it comes as no surprise that his son would grow to develop a dream of his own. Ross Perot, Jr. dreamed of creating a development, Northwest of downtown Dallas that he would describe as an, “urban lifestyle destination.” What he only dreamed to put into motion is now known as Victory Park, and at the center of it all is the American Airlines Center. And just like the city it calls home: The American Airlines Center is a marvel all its own. Anchoring the 72-acre Victory Park development, American Airlines Center serves as the backdrop to Dallas' most vibrant urban gathering space. Built on land that was once home to an old city dump, a meat packing plant and a retired power plant, Victory Park is the largest Environmental Protection Agency brownfield project in the United States. It was designed by David M. Schwarz/Architectural Services, Inc. and HKS, Inc. The team combined architecture and technology to give Dallas a beautiful, fan-friendly venue with lots of hi-tech touches. 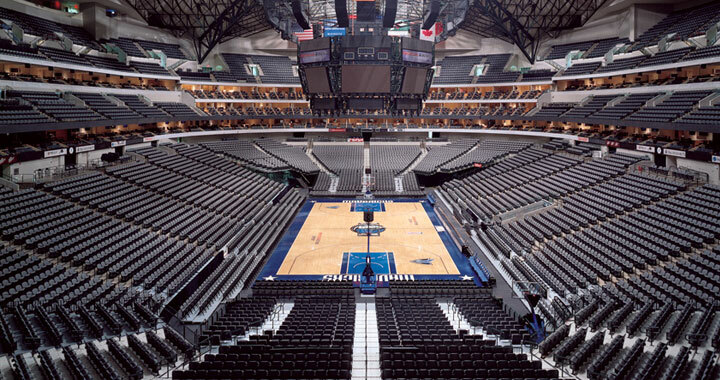 From its sweeping signature arches to the retractable seating, American Airlines Center's unique features single it out as the premier sports and entertainment venue in the country. 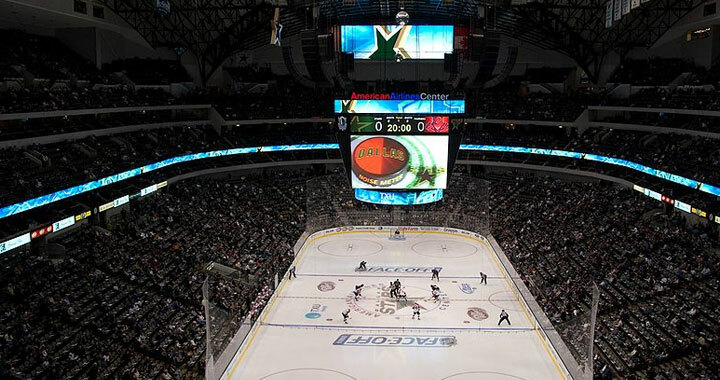 It opened in 2001 at a cost of $420 million and serves as home to the Dallas Mavericks of the National Basketball Association, and the Dallas Stars of the National Hockey League. The arena is also used for concerts and other live entertainment events. On the south side of the arena is AT&T Plaza (also called Victory Plaza) and it serves as the principal entrance into the facility, designed by artist Athena Tacha in 2000. The plaza provides an open space with fountains flanked by retail and office buildings. 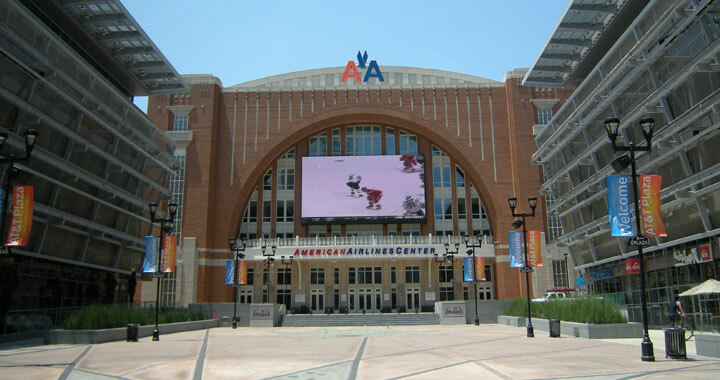 With several high-definition video displays mounted on the side of the arena and office buildings, the plaza is often used for outdoor events, the American Airlines Center, in Victory Park, is definitely the place in Dallas to visit. Dallas VIP is the premiere source for nightlife event planning in Dallas, Texas, and our staff of event planners can arrange for limo transportation and VIP access- with table and bottle service- at The American Airline Center or any other hotspot in the city. Whether you are planning a corporate event, bachelor or bachelorette party, birthday celebration, or special event---Dallas VIP is the way to go! Be sure to call us toll-free at 1-855-7DALLAS (855-732-5527) and let us help you plan your next event today. Been to American Airlines? Share your experience with others!